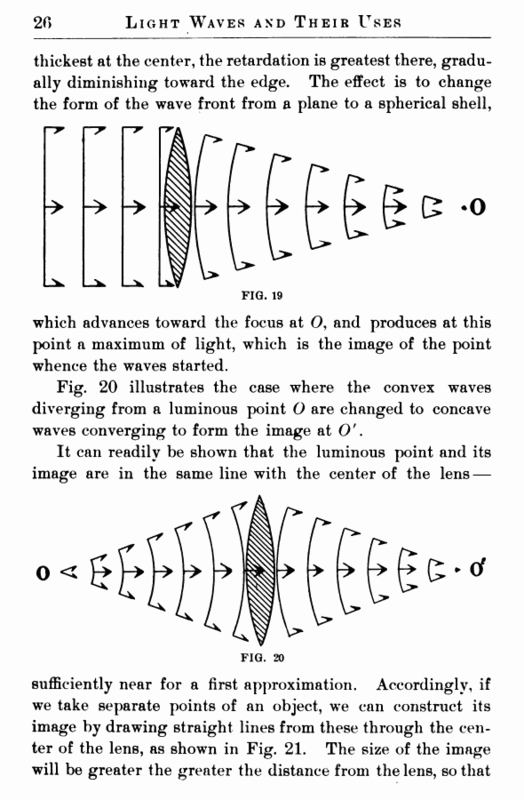 of the position of the point source. 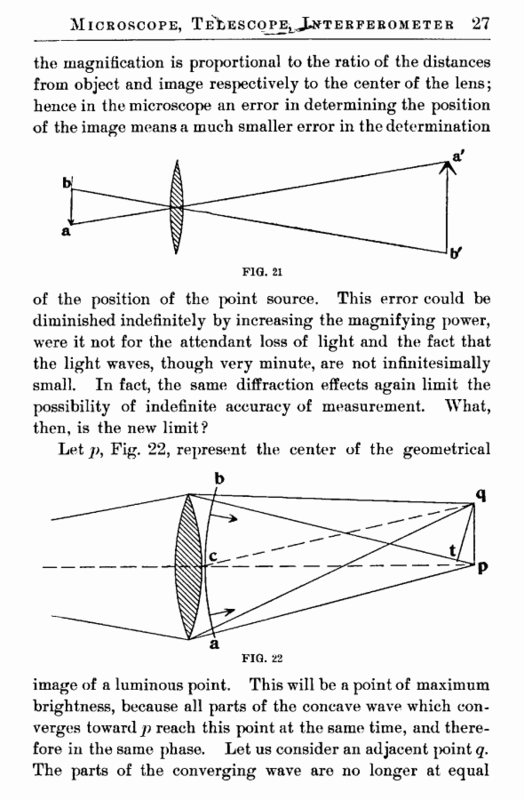 This error could be diminished indefinitely by increasing the magnifying power, were it not for the attendant loss of light and the fact that the light waves, though very minute, are not infinitesimally small. In fact, the same diffraction effects again limit the possibility of indefinite accuracy of measurement. What, then, is the new limit?